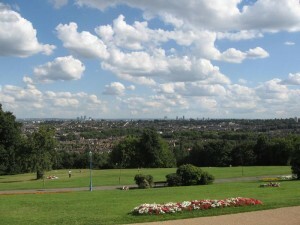 View of Haringey from Alexandra Palace. Alexandra Locksmiths are your local, family run Locksmith firm for the borough of Haringey. We offer our services to businesses and private residents alike. As we are local we understand that the majority of businesses in the area – over 94% – are small to medium firms, just like us. We are fast, friendly and efficient and will attend any locksmith call out quickly. Alexandra Locksmiths have a 24/7 emergency service. Haringey is situated within the growth corridor connecting London with Stansted, Cambridge and Peterborough and therefore is an extremely busy part of the capital. Calling out a local firm will mean that we can drive through minimum amounts of London traffic to get to you as we are on your doorstep. With thanks for the photograph of Haringey :Attribution – Sweek at en.wikipedia under the GNU Free Documentation License.